Name : Ash getting PWND! Your opponent will die "Simples"! Attack 2 : Pokeballs are GONE! 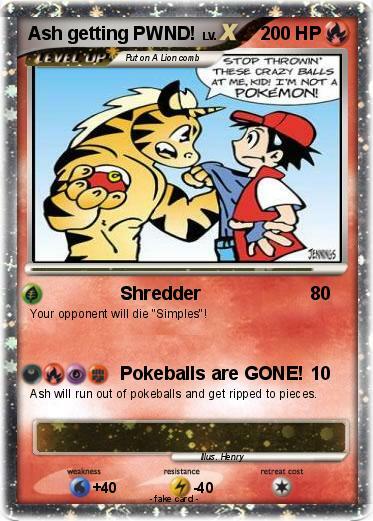 Ash will run out of pokeballs and get ripped to pieces.